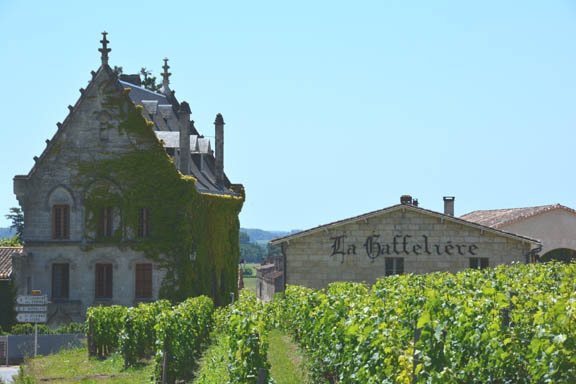 The 2012 reclassification in St. Emilion was a sea change in promoting Angelus and Pavie to join Cheval Blanc and Ausone in the hallowed ranks of Premier Grand Cru Classé A. 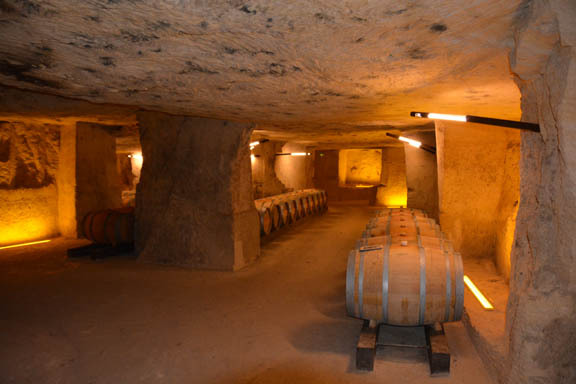 While the wines are admired, there are many reservations about procedures and criteria in the classification. Certainly this might be regarded as a Parker classification that has rewarded the rich and opulent style, while ignoring that long time contender for promotion, Chateau Figeac, which with a high Cabernet content has a more reserved style. Monday: the first palace. After lunch to Chateau Angelus, with its massive new building crowned by a modern bell tower. They played the national anthems of both the U.K. and U.S. on the bells when we arrived. The entrance goes into what looks like a modern take on a massive mediaeval banqueting hall with a vaulted wooden roof that must be a contender for the longest in France. Offices are squeezed in along the side. The atmosphere screams nouveau riche, but there is no dispute about the quality of the wine. This is very much a family-run operation as we meet Hubert de Bouard as well as his daughter and cousin, all involved in the business. 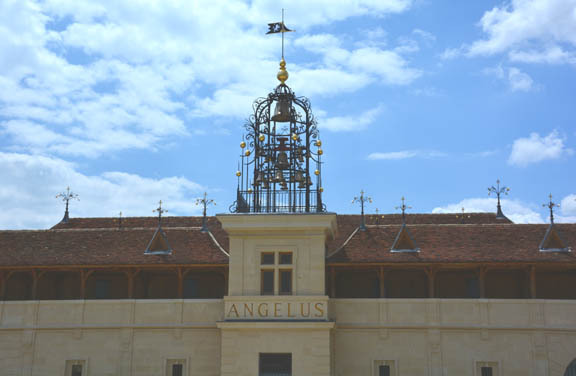 This is one of the largest estates in St. Emilion, with 39 ha used for Angelus, and another 12 ha used for the second wine, Carillon d’Angelus. 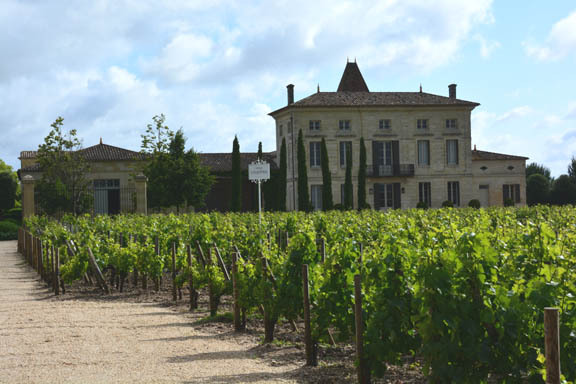 Hubert consults for 60 chateaus as well as managing his own properties—which include Fleur de Bouard in Lalande de Pomerol—so he’s an influential fellow in the region. Thursday: modernism in St. Emilion. Managed to take the back road to Pavie, so instead of coming in to the grand entrance at the front like a civilized person, followed a tortuous path down from the hills, winding up in the parking lot. But it really showed what the limestone plateau above is like and how the terroir differs from lower down. 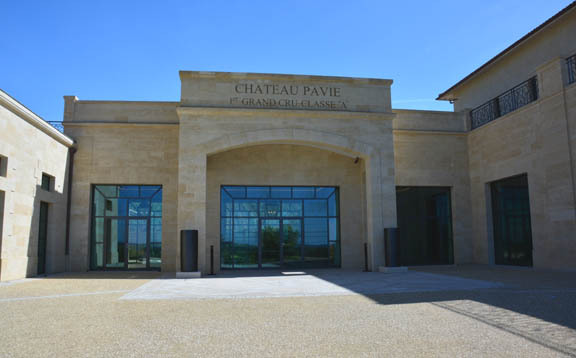 Pavie had better keep its promotion into Premier Grand Cru Classé “A” because the “A” is engraved in stone above the entrance to the new limestone palace. There’s no mistaking the level of investment here. 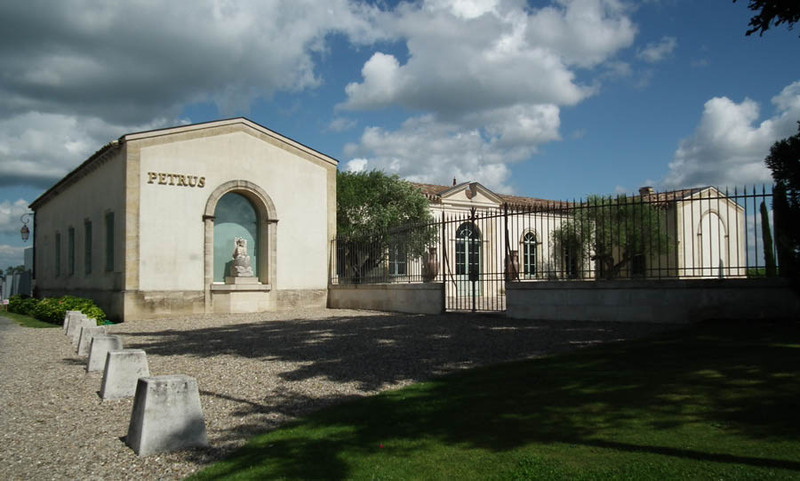 When Chateau Pavie and adjacent Pavie Decesse came on the market in 1997, supermarket magnate Gérard Perse, who had previously bought Chateau Monbousquet, acquired Pavie Decesse. 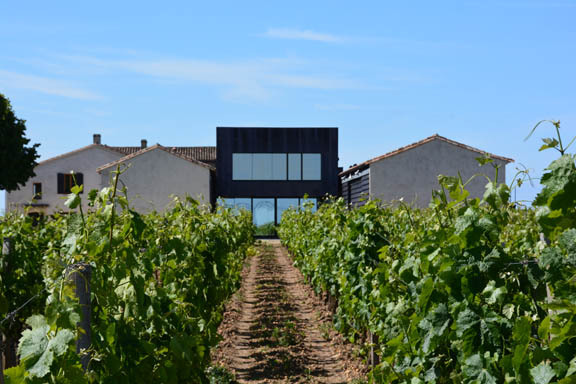 When Pavie had not sold a year later, “he decided to change his life, he sold the supermarkets and left Paris to build up Chateau Pavie,” says Gerard’s son in law, Henrique da Costa. Since then, it’s been a steady upward path, with high praise from Parker, culminating in the promotion. Tasted the 2006, which isn’t at all the popular image of an overblown wine. It’s only 70% Merlot and includes some Cabernet. 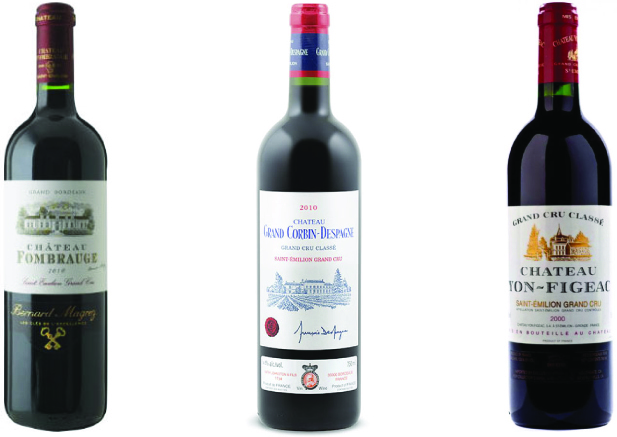 “We love the Cabernet Sauvignon, when it’s ripe you produce fantastic wine,” says Henrique. 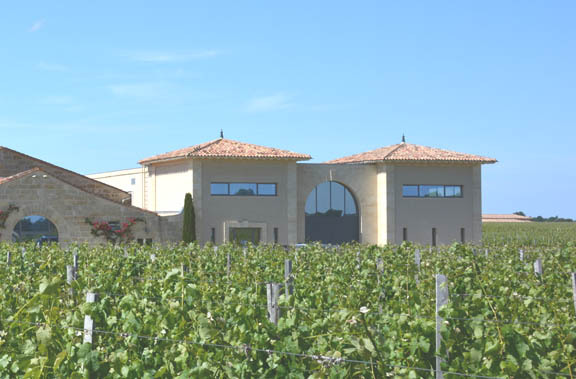 “We are working to increase the Cabernet.” In addition to Pavie and its second wine, Arômes de Pavie, there is Esprit de Pavie, a generic Bordeaux that comes largely from Castillon. “Esprit de Pavie was introduced in 2008. We have three properties in Castillon, but Castillon isn’t well known, we decided to make it a generic Bordeaux,” says Henrique. 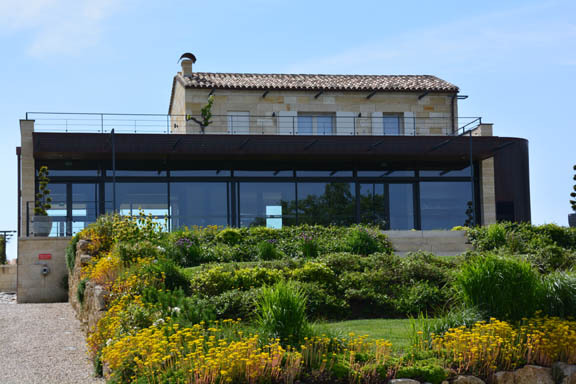 With the massive palaces of Angelus and Pavie dominating their neighborhoods, St. Emilion, known previously for its modest chateaus and small vineyards, can look the grand chateaux of the Medoc in the face.